What's inside The Edinburgh Dungeon? What is The Edinburgh Dungeon? 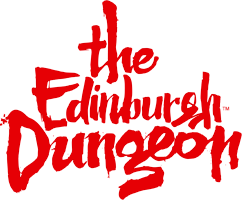 What shows and rides are within The Edinburgh Dungeon? Is The Edinburgh Dungeon a museum? Are there live actors at The Edinburgh Dungeon? Can the live actors touch you? Is The Edinburgh Dungeon scary? I'm claustrophic, is the Edinburgh Dungeon suitable? The Edinburgh Dungeon is the ultimate underground journey through Edinburgh’s darkest history. It brings together an amazing cast of theatrical actors, special effects, stages, scenes and rides in a truly unique and exciting 70 minute walk through immersive experience. Book online to SAVE MONEY, GUARANTEE ENTRY and SELECT YOUR ARRIVAL TIME here.